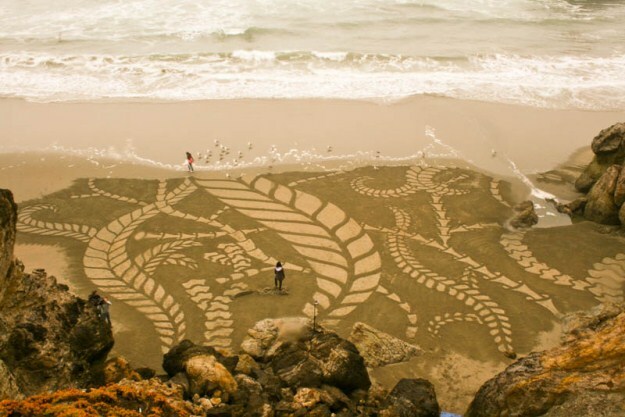 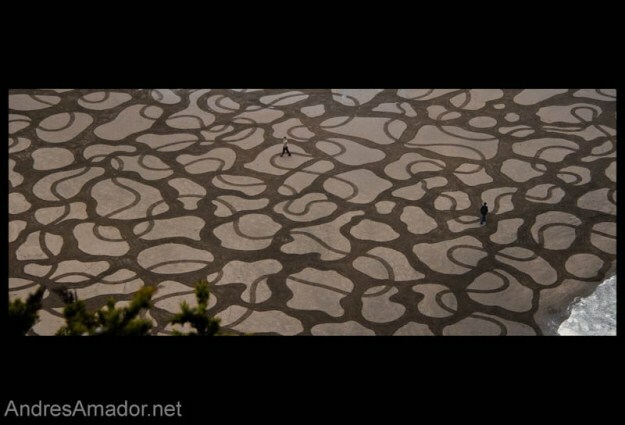 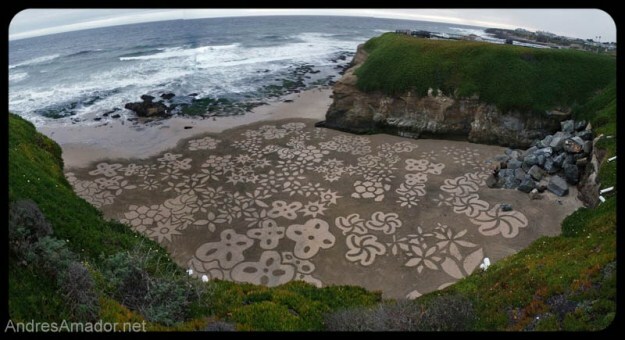 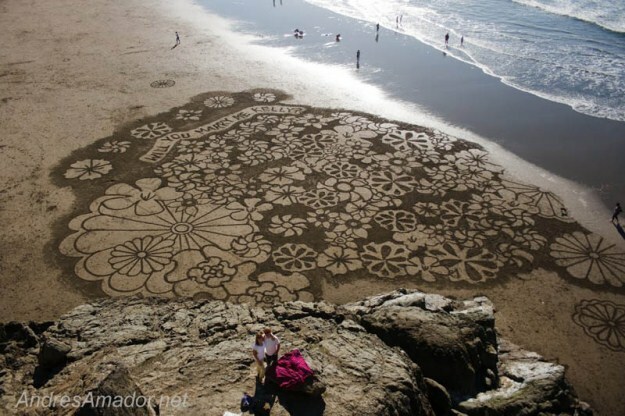 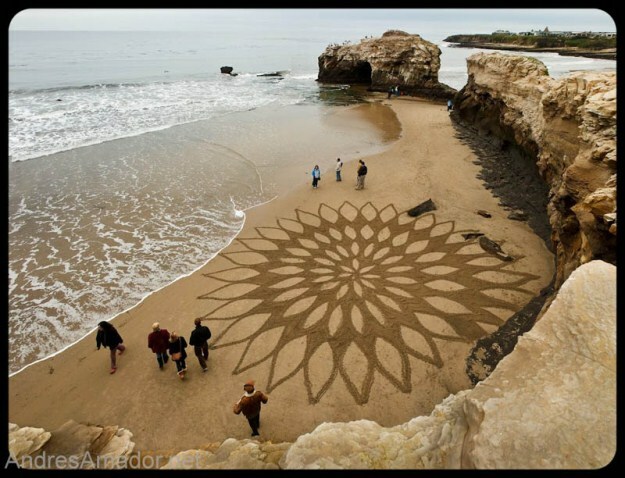 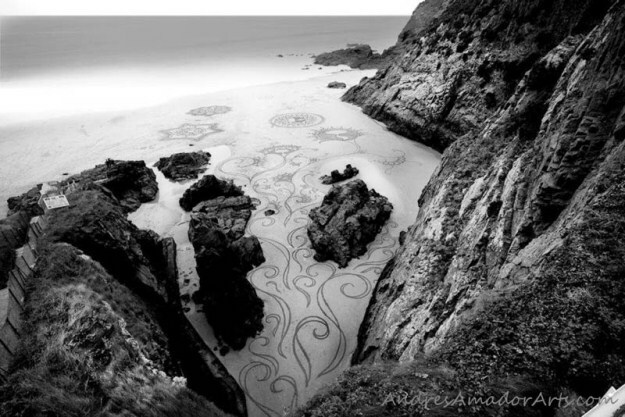 Andres Amador from San Francisco is professional in sand painting works. 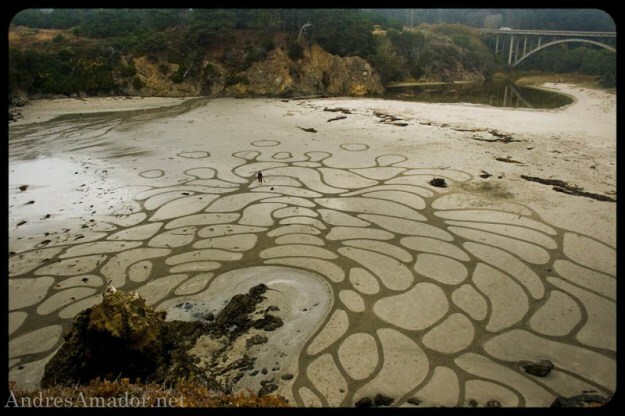 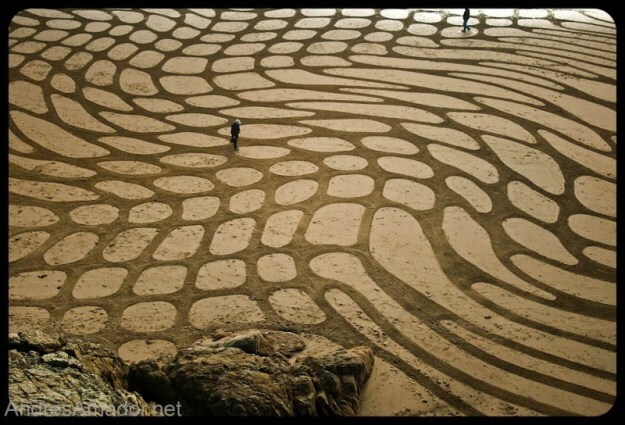 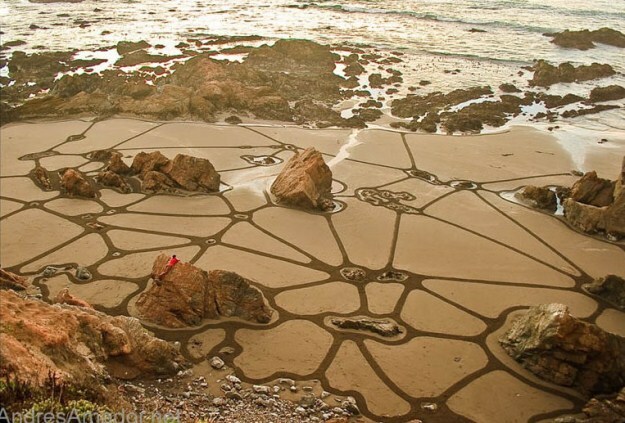 He had created a lot of unusual “Earthscape Paintings” with the use of beach as canvas and has carved geometric and organic shapes into sand between high and low tide. 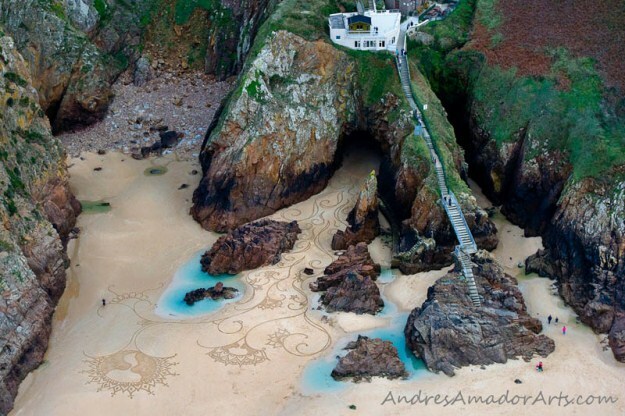 Full Moon on beach is the most suitable time for the Andres Amador to use beach as canvas. 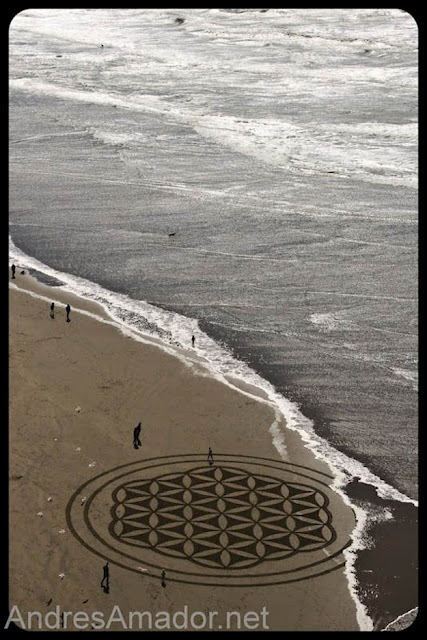 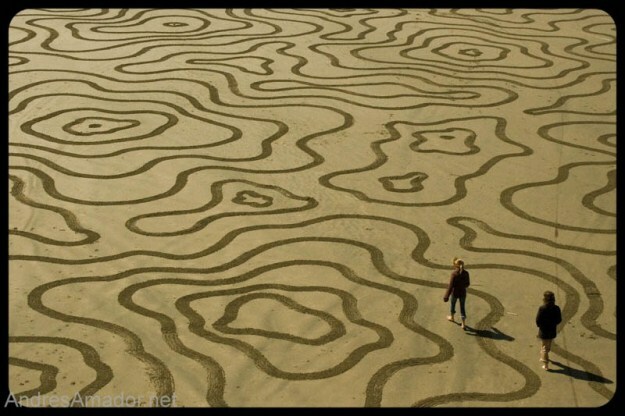 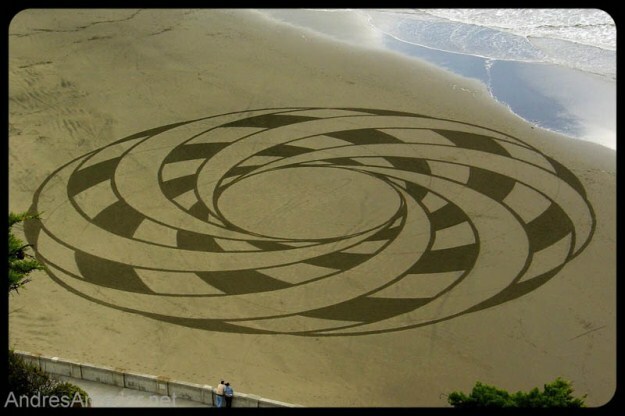 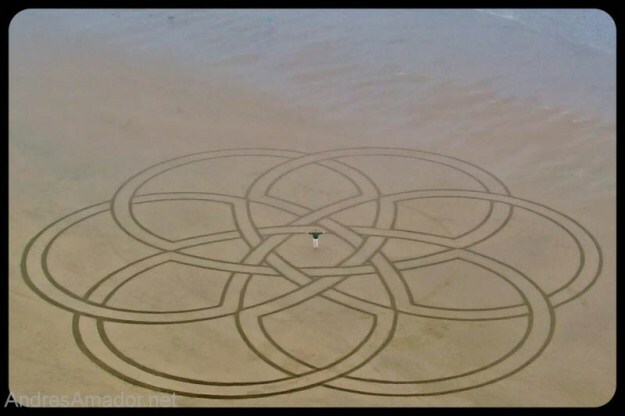 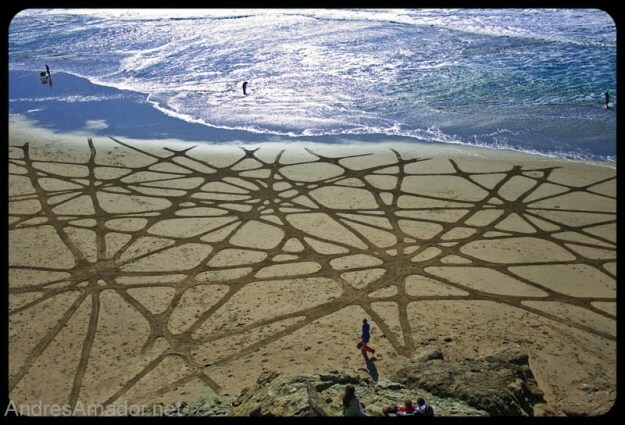 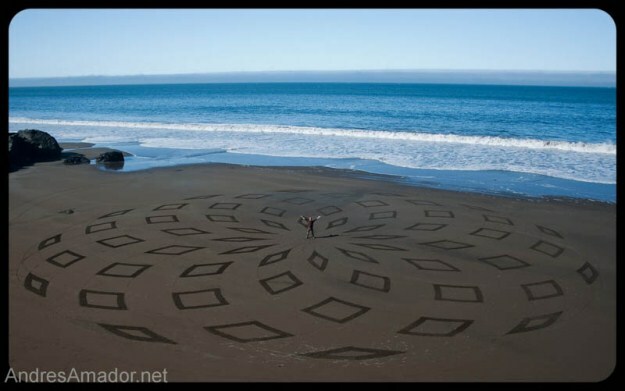 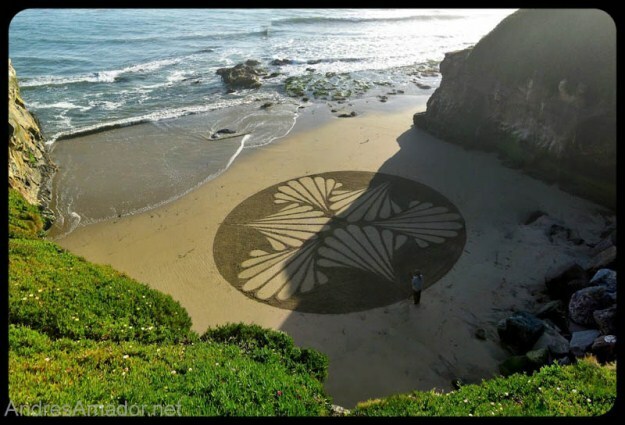 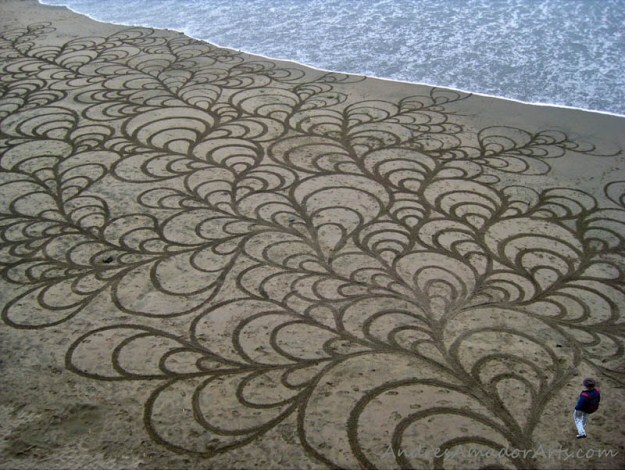 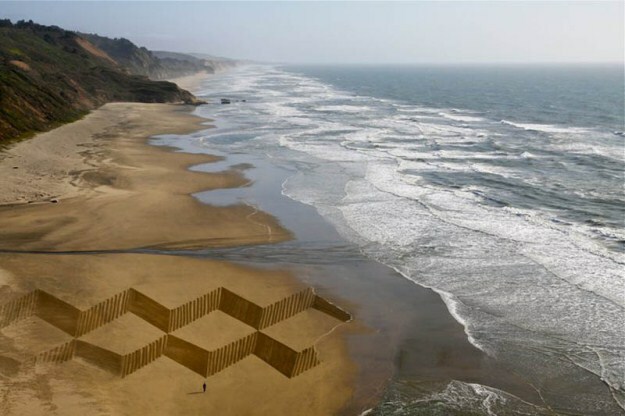 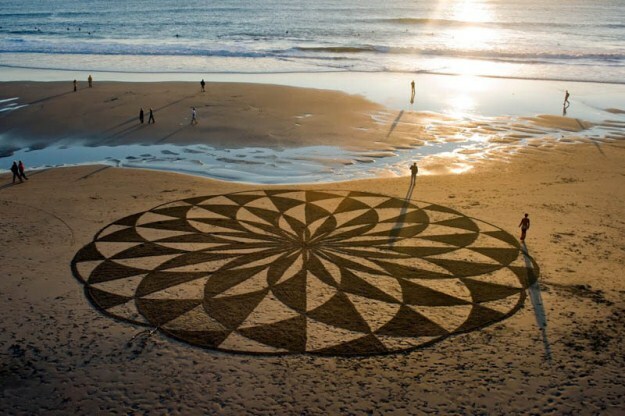 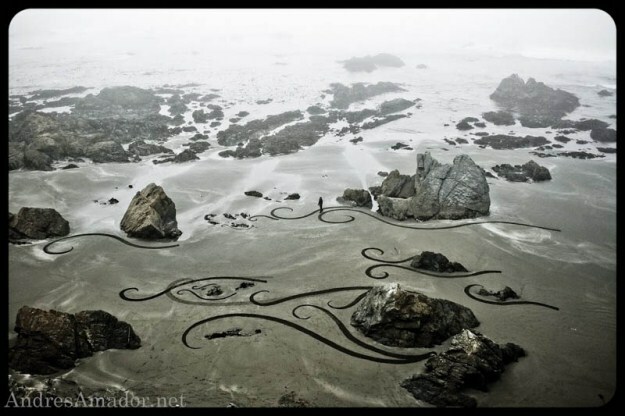 First he makes a sketch of the pattern then works on the sand and create the graphic itself. 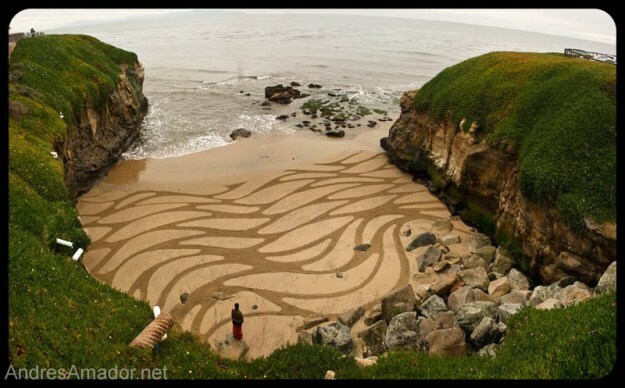 He had created more than hundred pictures in the sand and he also conducts a workshops and makes sculptures out of the sand for various festivals.